Um, interesting Umbrella | Do the twisted. You know what they say. When it rains, your old man snores. Initially, this was going to be a blog post about the beautiful Possum Umbrellas, but then I discovered some crazy umbrellas and rolled with that instead. Stay tuned for Possum. 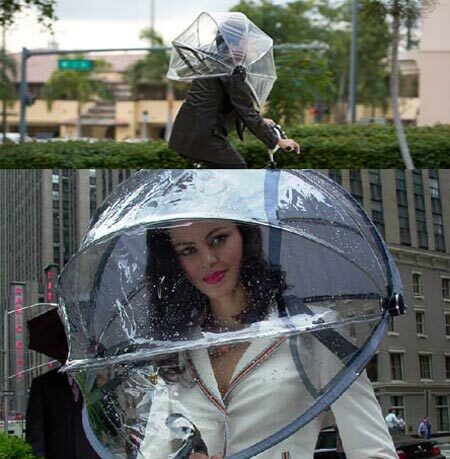 Until then, check out these ridiculous umbrellas to make you look awkward and attract attention to yourself. 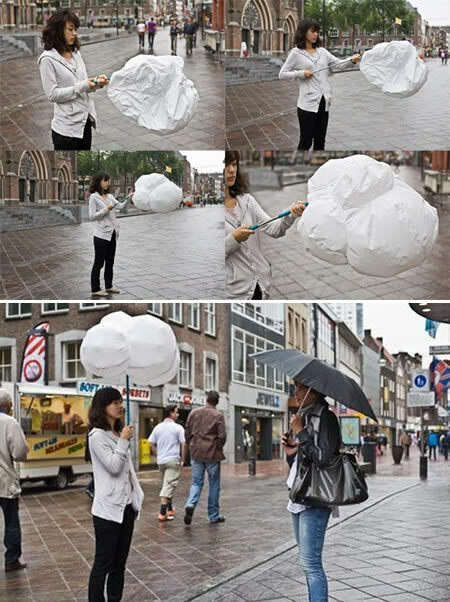 Okay hold on one second while I blow up my cloud umbrella. Cause that’s convenient. And look at the coverage! Amazing. Simply amazing. Hate to see what happens when it hails. 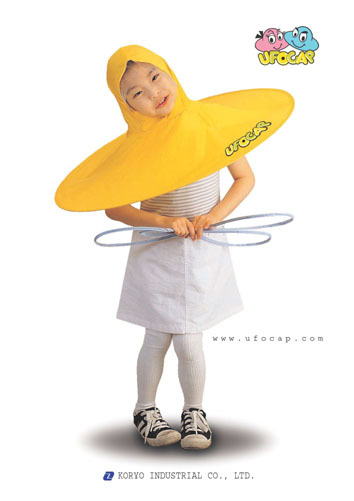 UFO Umbrella? No thanks, but the girl sure looks special with it. Good thing it’s only available in Korea. THEY OPENED THE UMBRELLA INSIDE?! Oh dear heavens, they’re screwed. But I enjoy the concept of the Lover’s Umbrella and would totally get this one. Especially when I want to charm old people to receive a quarter for my parking meter. I’m not sure what’s more offensive; the plaid, the dog umbrella, or how happy the lady is while the dog in her sack relieves himself on her since she isn’t letting him walk and go to the bathroom. 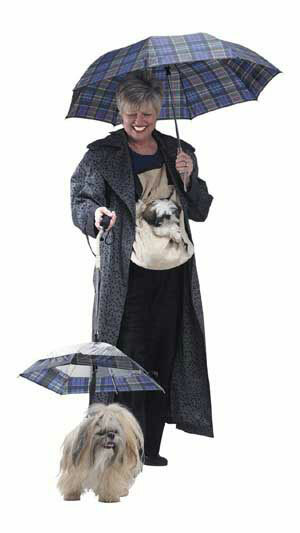 And no, you’re not getting a link to where to buy it, because newflash, they are dogs and dogs don’t need an umbrella. Let’s face it. We all secretly want to be ninjas. 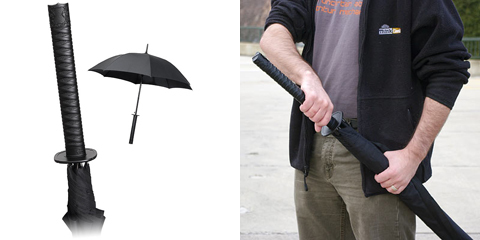 You just need to live in Seattle to be one year round with this Samurai sword handle umbrella. It keeps your head and shoulders dry, but what about your knees and toes? Regardless, Nubrella, a hands-free umbrella is a classy idea even though you’d look like a tool. You could pretend you are an astronaut or you could even hot box when you take a smoke break. Imagine the possibilities.